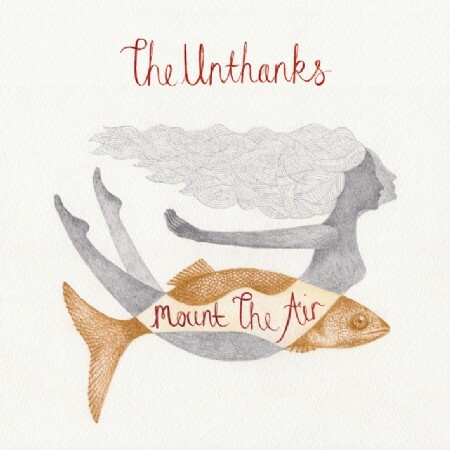 Listen to this track by Northumbrian chamber-folk collective The Unthanks, once known as Rachel Unthank & The Winterset until 2009. It’s “Mount The Air”, the sumptuous and sprawling title track to 2015’s Mount The Air. This is the full-length ten minute plus version of the song, that can also be heard in a more radio friendly length. The song’s lyrics reference a traditional poem published in a book of Cornish folk songs in 1958 called “I’ll Mount The Air On Swallow’s Wings”, an ode to lost love, and certainly in keeping with the British folk traditions that the Unthanks have pursued over the course of eight albums. Musically, the influences on this song are attached to a similar vintage of the late fifties, although on a different artistic spectrum. The connections with Miles Davis and Gil Evans and their work on Sketches Of Spain in particular are almost universally acknowledged at this point, even by the band who wrote this song. Maybe the mournful trumpet gives it away. Or, maybe it’s the ghostly Gil-Evans-like atmosphere of the almost-discordant strings. The sonic landscape of this tune seems to match the thematic content, even if that might not be expected. Even if this song can be looked upon as a standard lost-love folk tune, it touches on other themes as well that go beyond any one tradition. This song is about transformation. The first place to start where this theme is concerned is the lines of the poem that vocalist and multi-instrumentalist Becky Unthank discovered, adapted, and added to for this song in its current form. The transformation described in the song from person, to fish, to whatever form it takes to find a lost lover hooks into traditional storytelling across many cultures and eras. This narrative convention of physical transformation is found in many sources in literature and song, from Greek myth, to Hans Christian Anderson, to Robert Wyatt, the latter of whom The Unthanks covered with their rendition of his “Sea Song”. In this, there’s something primal about this “Mount The Air”, perhaps because it is rooted in such a wide spectrum of storytelling, which is what the best folk music is all about, of course. But, I think this concept of transformation works on a few levels here on this song. Another one would be the process whereby materials from the past went into making something new and vital for new audiences. Songwriters do this all the time of course, with the best examples having an element of the unexpected included at their centres. In this case, who would have put traditional Cornish poetry in with Miles Davis? With this, we’re reminded that with every process of transformation, there is a parallel process of breaking down the barriers and structures to make way for the next thing. In “Mount The Air”, it’s the barriers between worlds of British verse, Spanish folk music, classical music, and improvisational jazz that all get the chop here. Because that’s another thing that songwriters and artists of all kinds do; they remake what’s established, and re-position it to find out what more can be found in it beyond their usual contexts. In this, the quest to find a lost love can be understood in a different light. The Unthanks represent this new emphasis when it comes to folk music in this song, and how it’s presented; not simply as reverently curated material suspended in amber, but rather in a process that reveals that which lies at the heart of it when it’s dismantled, re-contextualized, and sometimes laid bare. Find out more about The Unthanks at their official site. To learn more about them and about this record, here’s a review.